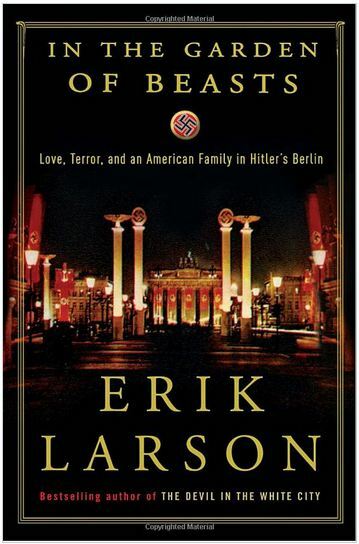 Just finished reading a historical non-fiction which reads like fiction about Hitler’s Germany. Intrigue, wild romances and the horrors of Nazi Germany make this a fascinating book. What makes it especially interesting is that it addresses the question ( to some extent) that I have always had about that era. I have always wondered how and why the German people allowed such horrors to happen. Did they not know about the concentration camps and how Jews and other members of society were being treated and if they did, did they turn a blind eye? When we visited Munich years ago and went to Dachau, the infamous concentration camp just a short train ride away from the city, I just sat on the grounds of the camp thinking of what it must have been like for the people in the camps and how common people were living, knowing what could be happening to their neighbours, their friends. ‘In the Gardens of Beasts’ is a must read for history buffs, especially those interested in the times of Hitler and the Third Reich. I just wish I had read this book before visiting Berlin this year as I would have tried to trace some of the paths of Dodd and other characters in the book. The following pieces from the book sum up the state of Germany quite well. The second paragraph provides a vivid visual of the horror in Berlin during WWII.